We have a date, we have a location (more or less), we have a format. Time to officially get things going. Welcome to the 2018 Oppositelock “Half-Massed” road rally! For those of you who were around last year, you may remember how this goes. For those who weren’t, you’re in for some fun! This year’s Oppo Rally will be held on July 28th, going from Worcester, MA to Pittsfield, MA. Like last year this will be a treasure hunt, though there will be a few activity challenges thrown in as well. Unsurprisingly activity challenges will be worth more than standard checkpoints, including a very difficult but very lucrative challenge near a body of water. Last year’s rally was free. Sadly this year will be slightly different in that regard. Competitors will be required to buy their 6" sticker, because I can’t afford to drop $150+ on stickers again (Uncle Dusty’s trying to save up for a new car here). The 6" stickers will be $5 each, everyone is required to get one and has the option of buying more, as well as the option to buy the larger 17" wide sticker for $10. If anyone can’t attend Oppo Rally but wants to order an Oppo Rally sticker anyway they can do so and I’ll mail it to them. Speaking of mailing things, Oppo Stickers will be back. Since I’ll need to do a bulk order of stickers for the rally anyway, I’ll be including a rare order of custom Oppo stickers as well. Oppo sticker orders will open somewhere around mid-late May. Registration is officially open as of now. I’ll start sending updates to registered entrants 60-90 days out. I’ll also be posting updates here in Oppo, so be sure to check the Oppo Rally tag from time to time. To register send me an email at howdeedoodat@gmail.com, including your name, Kinja username, vehicle you’ll be using if known (you can change this later), and number of people on your team if known (you can change this later). 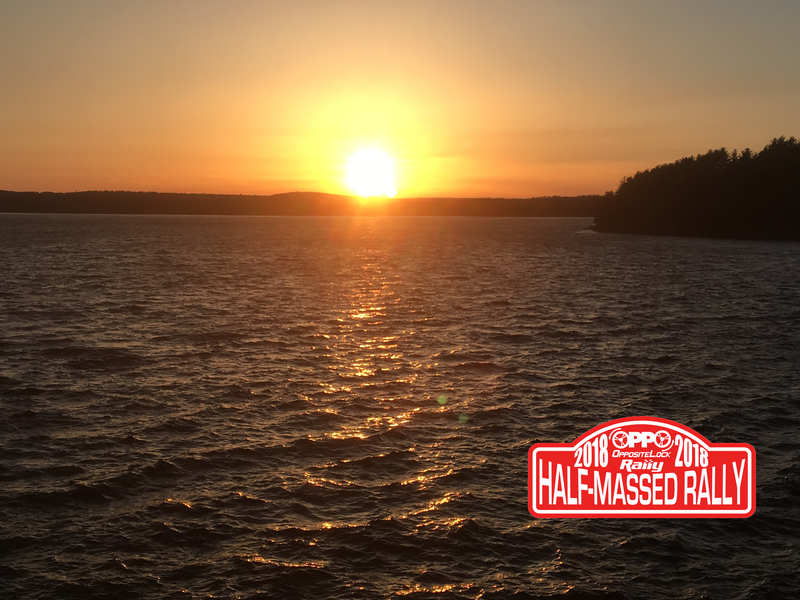 The Oppo Half-Massed Road Rally will be a full day, 200+ mile event across (half of) Massachusetts, starting in Worcester, MA and ending in Pittsfield, MA (or thereabouts). Along the route competitors will log checkpoints to score points.Much like last year’s event, this will be a treasure hunt (with a few surprises and twists along the way). Unlike last year, this year competitors will be logging the checkpoints on Instagram. What does that look like? Something like this. Along with some fun roads (Massachusetts has some fantastic two lane roads) and some cool auto-centric stops the rally also has some breathtaking scenery and a number of interesting landmarks (natural, historical, abandoned, allegedly haunted, and others), which should make this a fun trip for any less automotive-oriented friends/significant other you want to bring along as well (you know, if you need to sell them on being your co-driver). Having a co-driver isn’t necessary, but it will make things easier, particularly in the navigation department. This is not a speed-based event. Being first to the finish line not only won’t make you the winner, but it will almost certainly mean you’ll have one of the lowest scores. Cars/teams can have a minimum of one person and a maximum of however many working seatbelts the car has. Any vehicle is eligible so long as it’s registered and insured. Bikes, trikes, sidecars, supercars, replicars, amphicars, limousines, buses, ice cream trucks, half tracks, and wienermobiles are welcome (and encouraged). Buses are exempt from the seatbelt mandate (why don’t buses have seat belts anyways?). In addition to scoring points via the various checkpoints along the way, teams will be given points at the start of the event based on how interesting/Jalop their car is, costumes/themes, and other factors. For those who haven’t heard about Oppo rally and want to know what the heck I’m talking about, check the tag to get caught up. To see how last year’s Oppo Rally went click here.